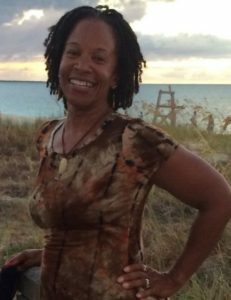 Kemiko Y. Lawrence is a certified registered yoga educator ERYT 200hr, with Yoga Alliance. Kemiko’s yoga journey has been ongoing, for the past 18 years. Transformational is the best way to describe the power of her yoga practice. Becoming certified in Iyengar yoga, in 2006, she has been formally educating others about yoga’s powerful benefits for the past 10 years. Leading with compassion and integrity, it is clear that Kemiko is dedicated to spreading yoga to all those with whom she may be blessed to connect with. Having worked with corporations, individuals, as well as small & large groups, Kemiko continues to lead the charge of spreading yoga throughout her community and the world. Remaining flexible on and off the mat is the way she chooses to live. A health and wellness advocate, Kemiko believes that being non judgmental of yourself will ensure you will be the same way with others. Focusing on the breath is key in her teachings about yoga. Spreading love and kindness and living authentically is the message that Kemiko desires to communicate each time she leads and practices yoga. Kemiko is married with 5 children. She is a proud military and homeschooling Mom, triathlete and lover of an active lifestyle. She resides in Douglasville GA with her Husband and 3 youngest children.